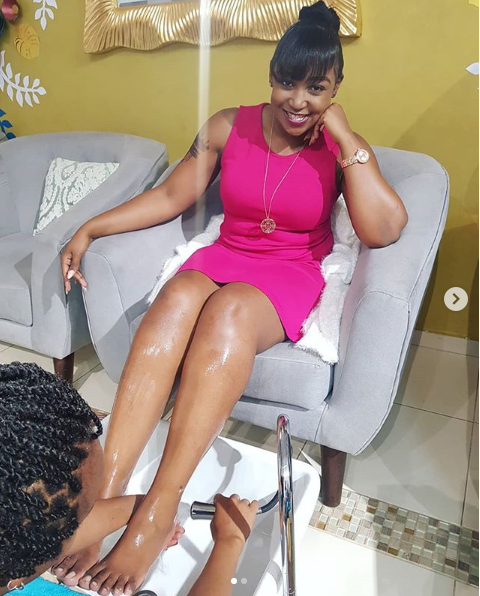 Home / Entertainment News, Gossip and Drama / BETTY KYALLO throws a jab at her former colleagues at Standard Media Group after they revealed details of her affair with JOHO. BETTY KYALLO throws a jab at her former colleagues at Standard Media Group after they revealed details of her affair with JOHO. Sunday, September 9, 2018-Controversial TV girl, Betty Kyallo, has thrown jabs at her former colleagues at Standard Media Group. Betty resigned from KTN about a month ago and moved to K24TV, something that seems to have rattled the top management at Standard Media Group. On Friday, Standard Media Group owned publication, The Nairobian, wrote a story revealing why Joho dumped the TV beauty. They revealed a lot of juicy details on the secret affair between the handsome Mombasa Governor and the TV beauty. Betty wrote a tweet throwing jabs at her former colleagues at Standard Media Group. According to Betty, a month has not even ended from the time she left Standard Media Group and they are busy digging up on her past life. This is what she tweeted while reacting to the story that was published in the Nairobian.